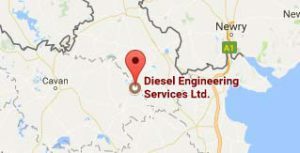 Diesel Engineering Services Ltd. has one of the only independently run dynamometer’s in Ireland with the capability of measuring a trucks performance. The measurement of horsepower alone, is not indicative of engine performance, as peak power is not reached until the engine is at full revs. The most telling performance is the torque output and its graph shape over the rev range. The MAHA plots, not only power output graphs, but also torque and boost graphs and driveline loss graphs on the same page so that you get a complete picture of an engines ability – on one graph. 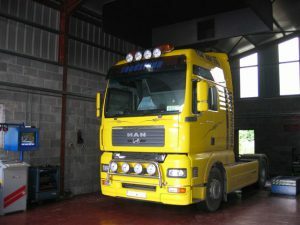 This allows us to pinpoint any deficiencies in an engines performance using one test only. Being able to identify problems easily enables us to rectify them without the need for the “Let’s try this and see” approach. This allows us to offer a cost effective solution to our customer problems.